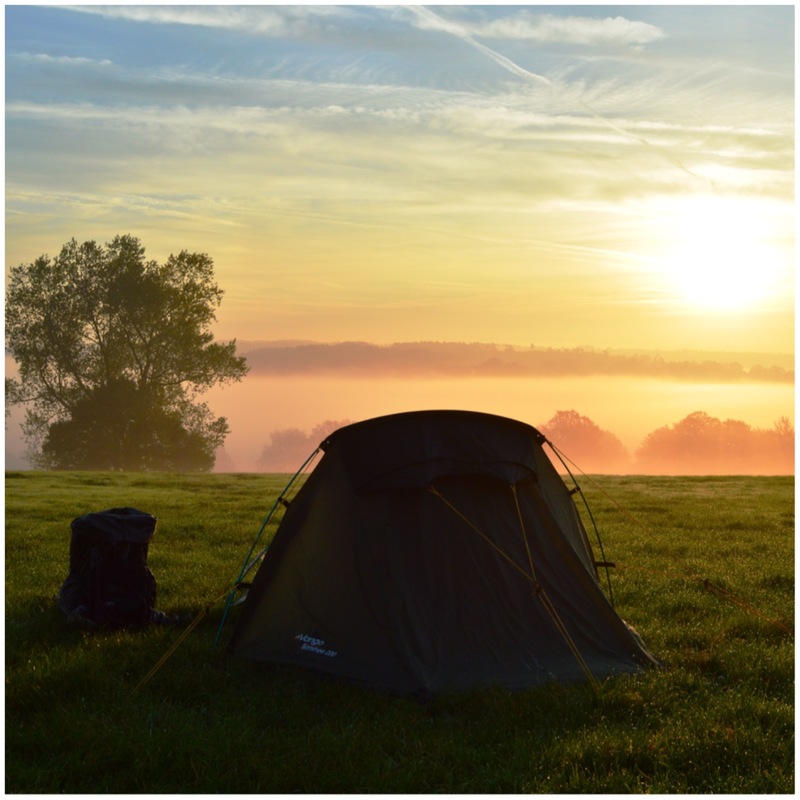 A year ago I first advertised my Bushcraft Days blog on Facebook with a view to recording my adventurous activities and sharing them online. I did this primarily to let everyone know what we get up to in the London Area Sea Cadet Adventure Training Team. 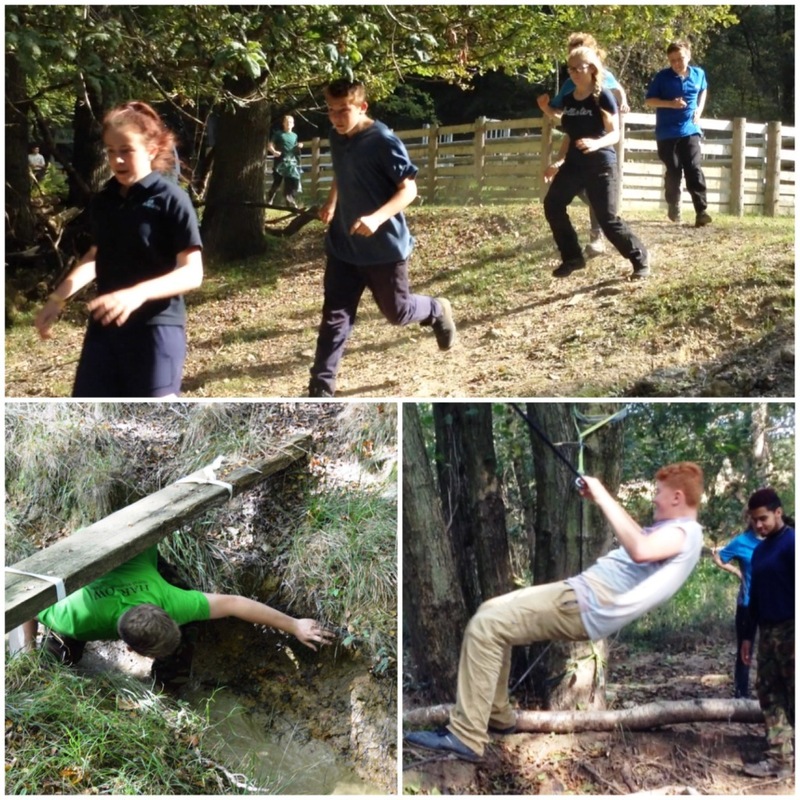 We are a small team of instructors dedicated to getting cadets and staff outdoors and exploring as many different environments as possible. 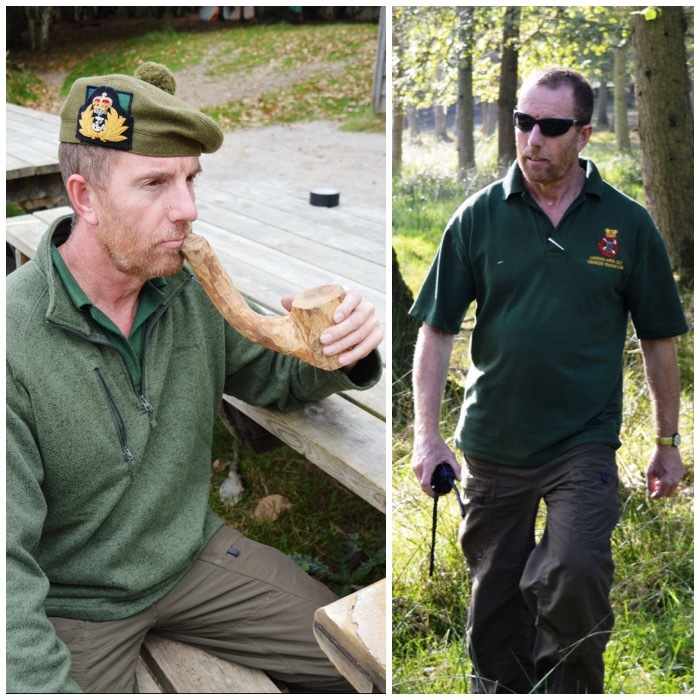 When I joined the Corps back in 1998 I came across this slightly eccentric but vastly knowledgable and experienced Adventure Training (AT) instructor Lt (SCC) Graham Brockwell. Graham has been in the Corps since he was a lad and I would say is the Corps’s most experienced AT instructor. For quite a few years now he has run the London Area Chosin Cup competition but he decided this year’s would be the last with him in charge. This post is therefore dedicated to my friend Graham – our slightly eccentric, vastly knowledgeable but very friendly Boss. As usual the AT team turned up early on the Friday (26th of September) to set everything up and the rest of the staff and cadets turned up over the course of the Friday evening. 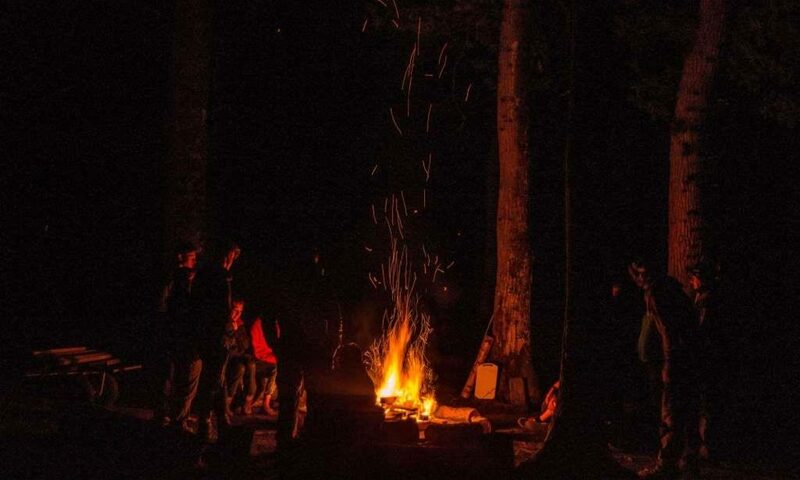 The cadets had to do a night nav into the campsite after being dropped off by their minibuses. 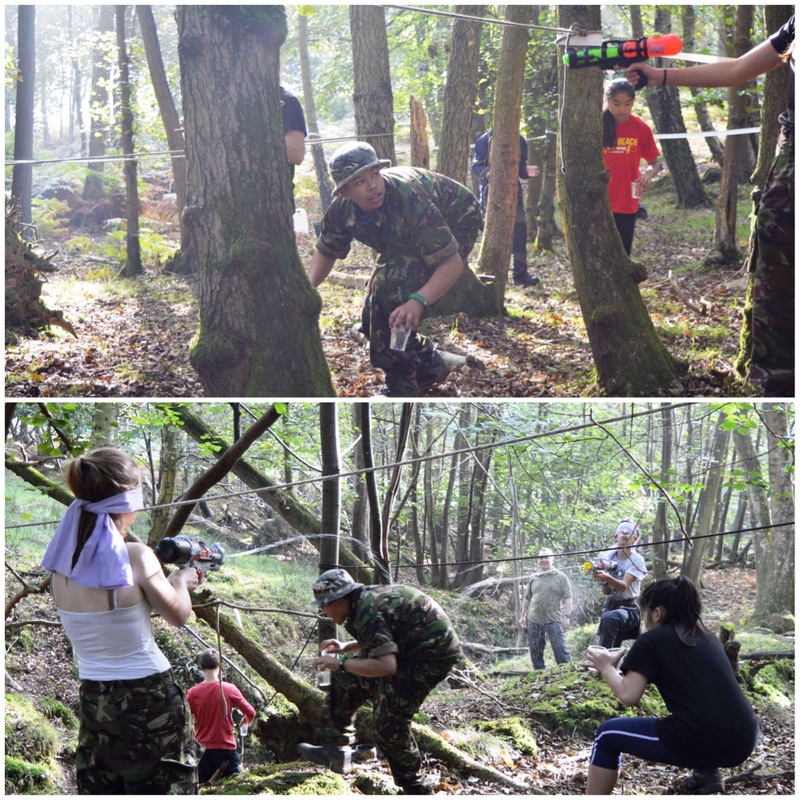 Most teams found the camp but four teams took a wrong turning and headed off into the Forest. Dave Lewis and myself found them all huddled together conflabbing about where to go but they were in high spirits and were soon back at camp. It was an early start the next morning where the teams were given separate routes and headed off to their stances. After finishing each stance they would head off on a new bearing to find the next one, repeating this throughout the day. My job was to keep moving around the course to make sure everyone was OK and not getting lost, which allowed me to take lots of pictures. First I found the raft building stance where Enfield made a valiant effort to float their raft but sadly things were a bit loose and they soon ran into trouble (they managed to keep smiling throughout though). Next I came upon the plank race. 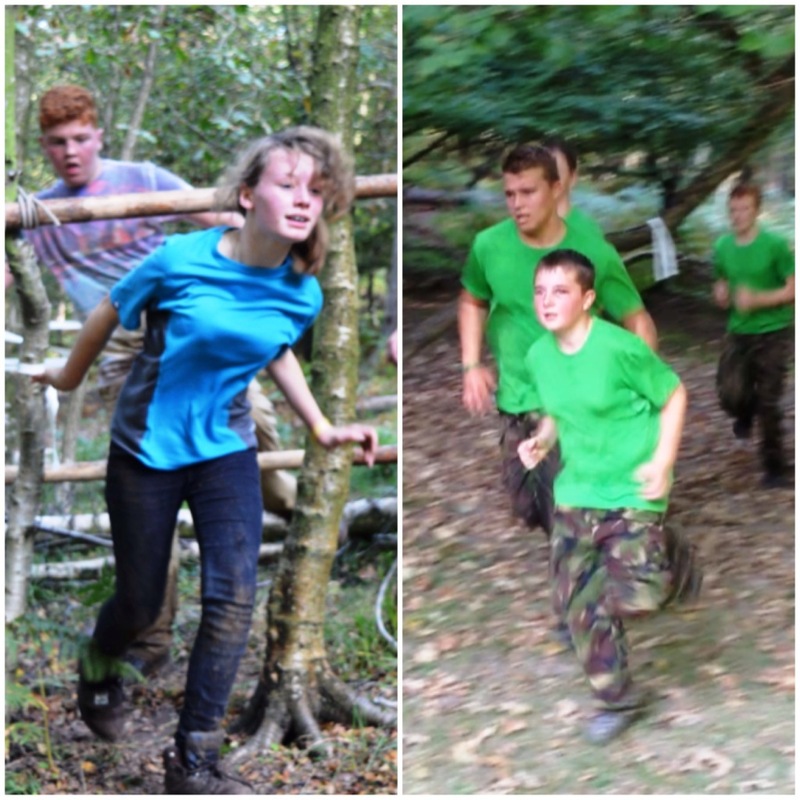 This was a tough little race in the woods but the cadets were continually egged on by Tommo and his microphone and speakers. One of my favourites has always been the archery stance. Charlie ran that one again this year with Robin up on Hill 170. It seems that one of my bows may need to be retired as it is now developing latteral cracks but it managed to last the day thankfully. One of the stances I visited was the flag raising one with Paul and Eli but as no teams turned up while I was there could not take any pictures. Paul did film some of the stance though and I put this short video together from his footage. Next I found Dave and Paul in the woods where they were running the river crossing stance. 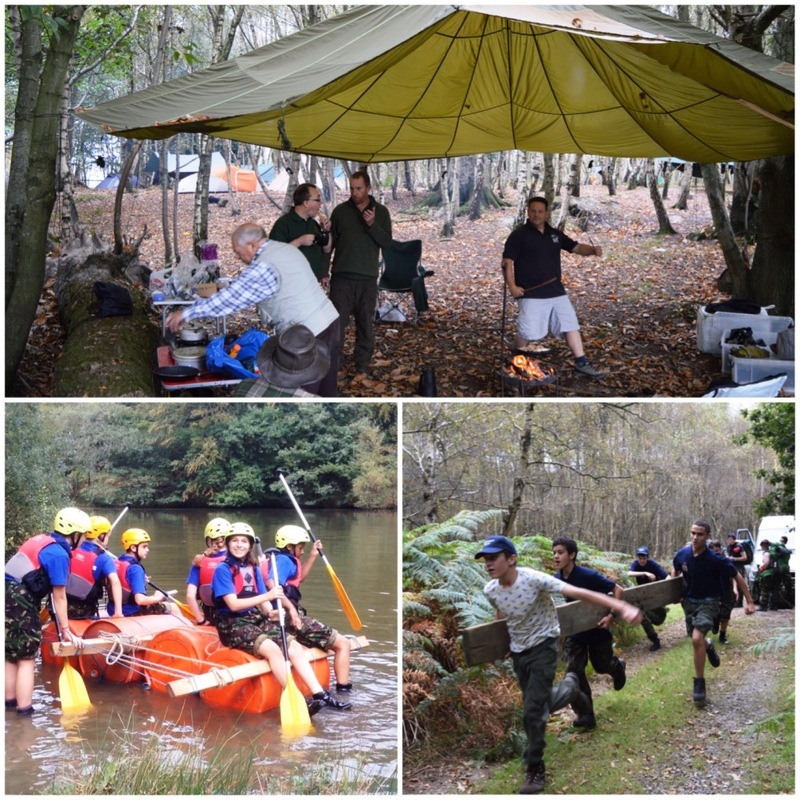 As it is training there was not a river in sight but the cadets had a great time setting up their rigs and ferrying their kit and themselves across. 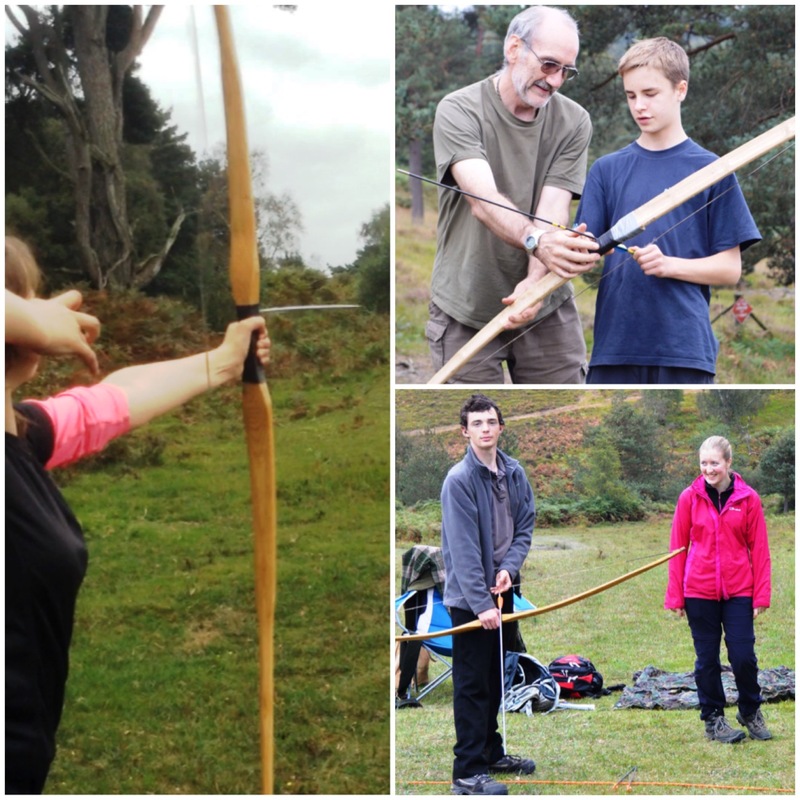 There were quite a few other stances I did not photograph including an AT quiz and identifying knots. After all the stances were completed the cadets went back to the campsite to cook dinner, but as soon as it got dark they were given a new route to a different campsite. 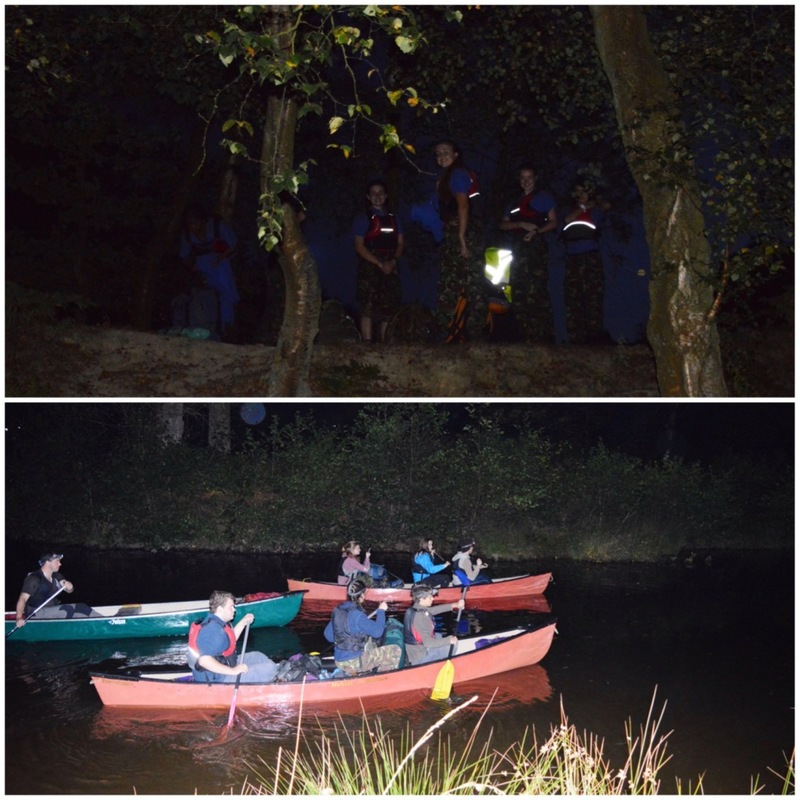 They had to navigate in the dark and cross one of the lakes in canoes. A bit of a logistical nightmare but great fun. Thanks to Jo, John and Kev for organising all this. 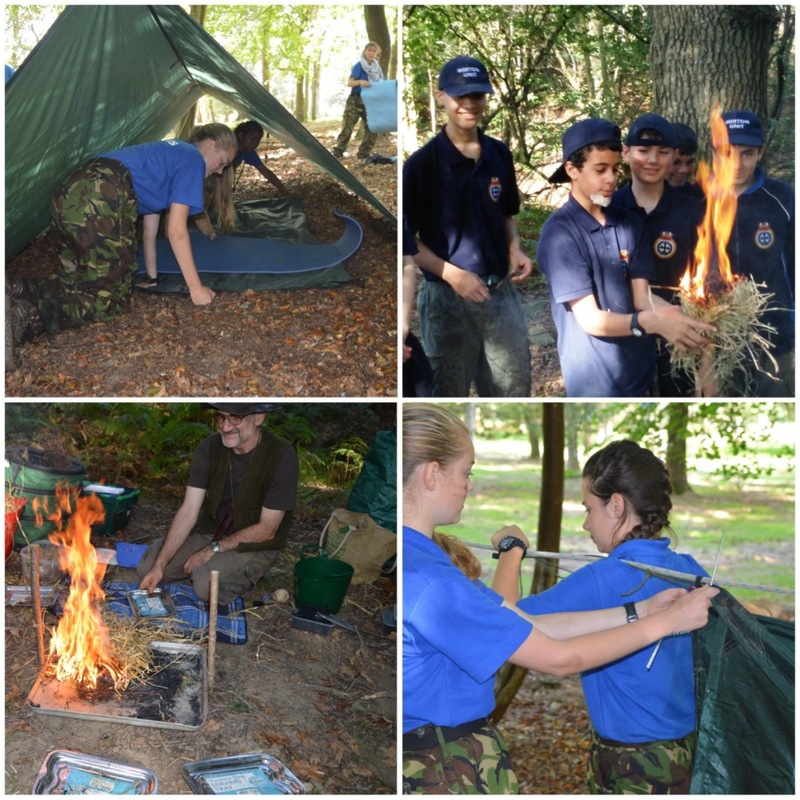 After all the cadets were set up in their new camp the instructors all relaxed for an hour or so around the campfire. It was great to get the night nav finished so early and for once I got a decent sleep on a Saturday night over Chosin Cup. I made this video of the Saturday showing as many of the stances I could and it is set to my favourite classical track – The Ride of the Valkyries. Sunday morning was one of these special ones. 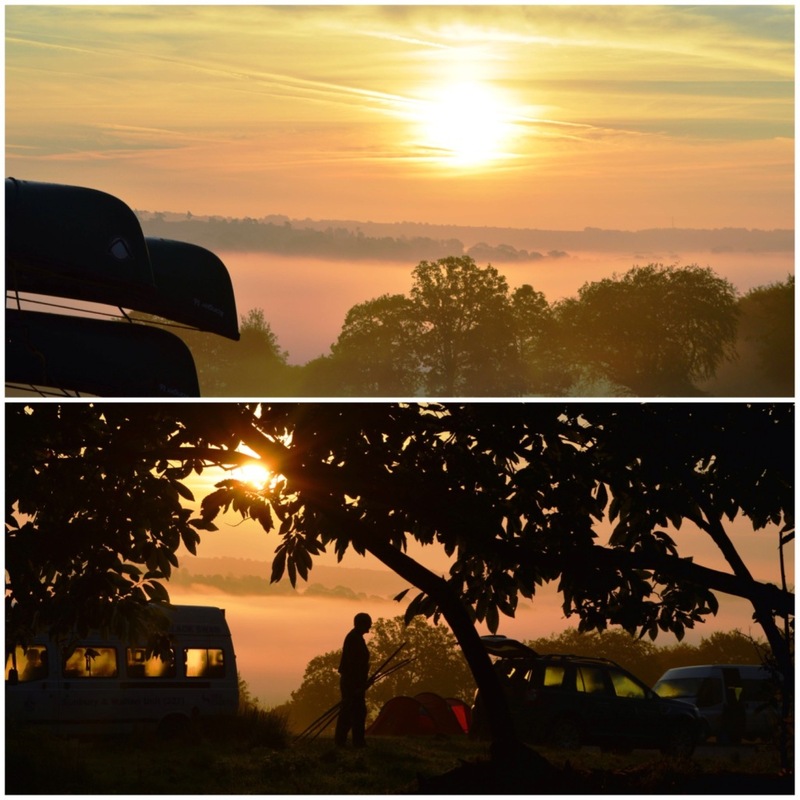 I got up at 6am and grabbed my camera straight away and got some beautiful shots. 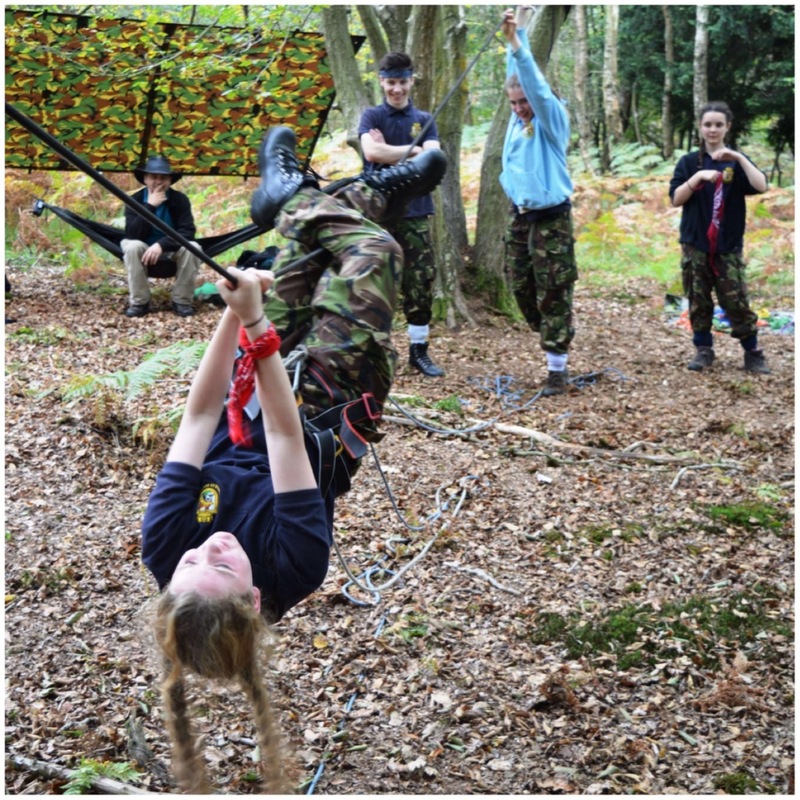 The Sunday stances were all concentrated in and around a small woodland so the cadets could get around as many as possible. My first set of pictures were of the stalking stance run by Cliff. 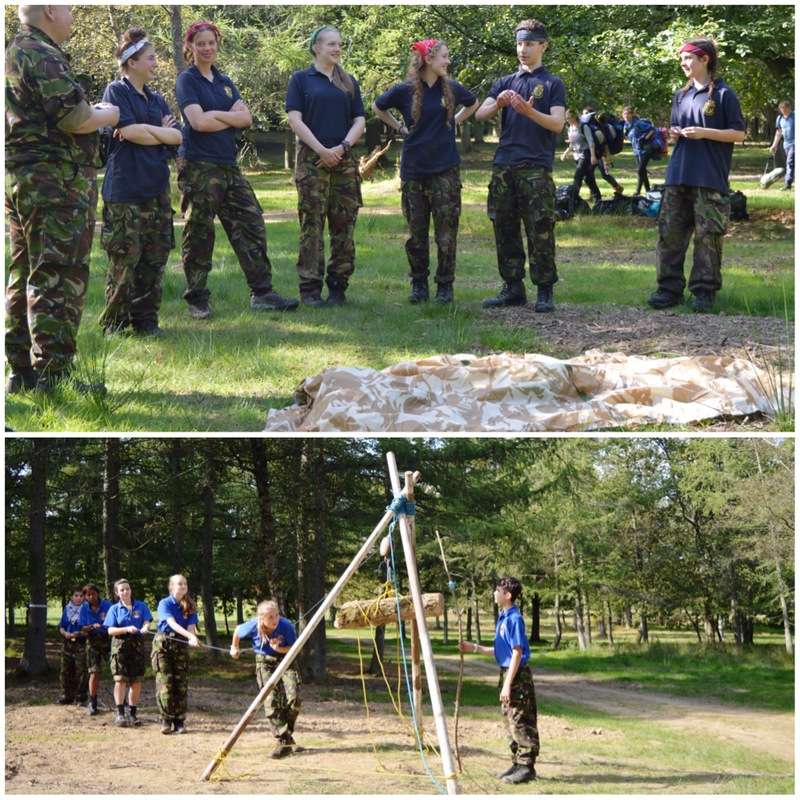 The cadets competed against each other to remain undetected, retrieve as much water as possible without spilling it, and identify the various man-made objects strewn about the course. Dean and Tommo ran the tree climbing stance. 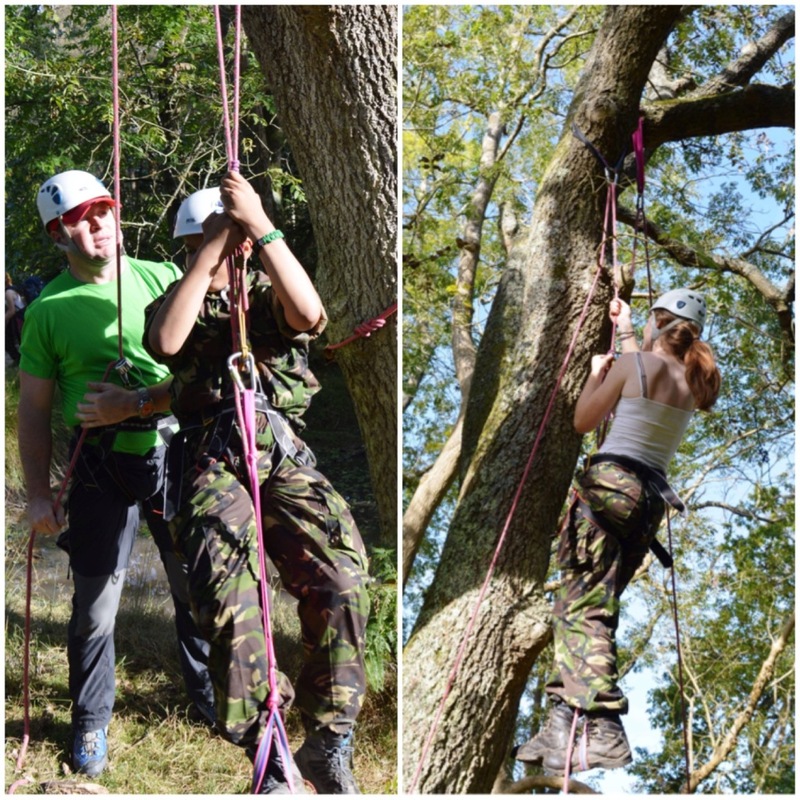 They had rigged some ropes up to an Oak tree and the cadets used a prusik system to ascend to the top. 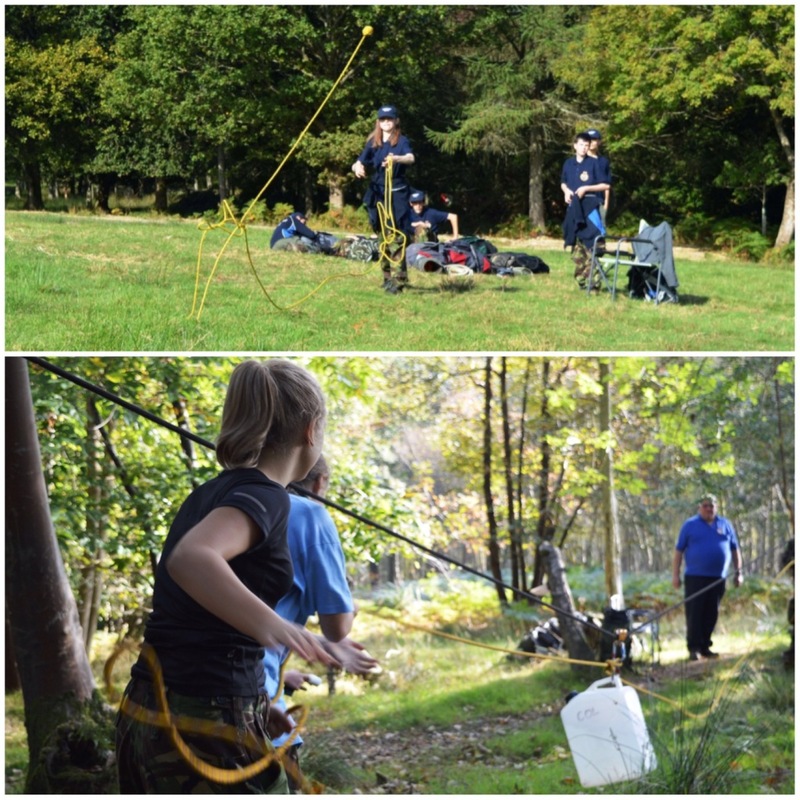 The cadets had to test out their seamanship skills by trying to get a heaving line into a container and Paul had them rigging a pulley system to move a very heavy water carrier. 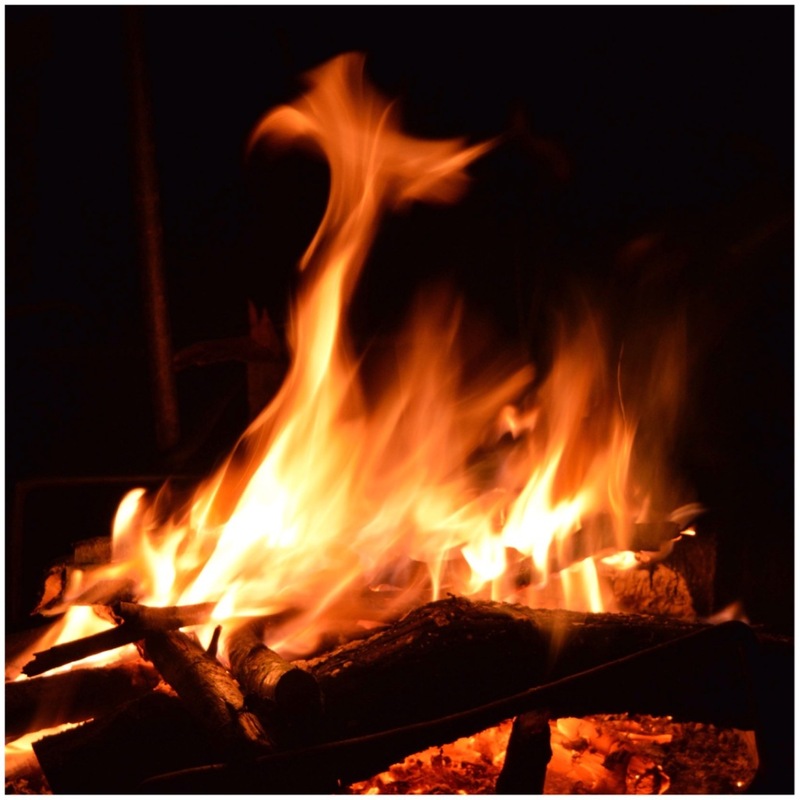 As Graham had wanted quite a bushcraft feel to the Sunday there was also a shelter stance and a fire making one. 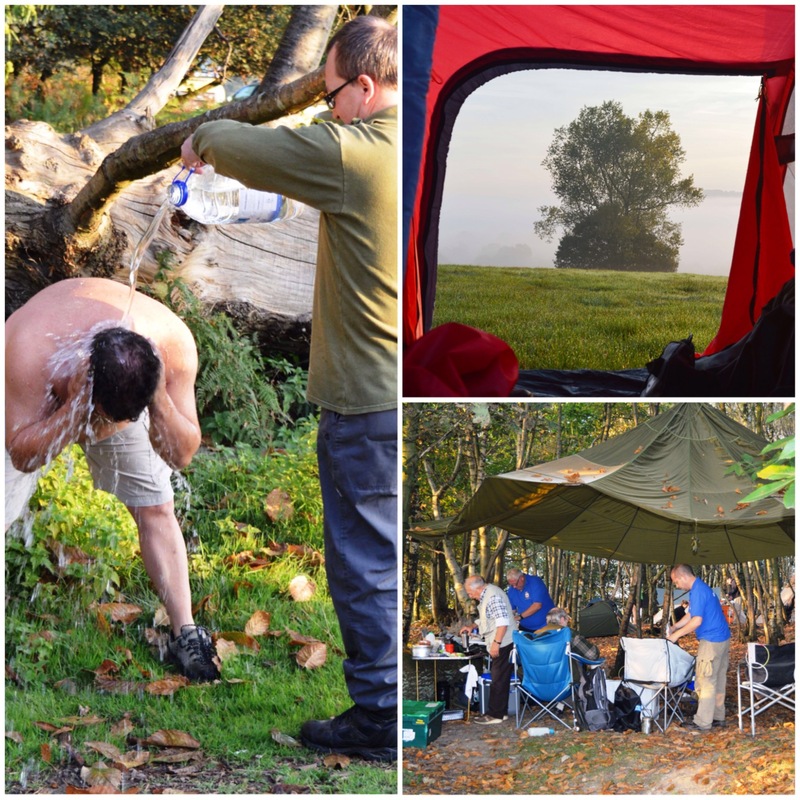 Paul had them setting up tarps to help treat an injured casualty and Charlie was doing timed firelighting – both fundamental bushcraft skills and great fun. Ian was running Kim’s game where the cadets have a minute to study a range of items and then when they are covered up have to describe each one in great detail – not as easy as you may think. Alan was running the Gyn stance – the cadets had to use all there seamanship and team working skills to build the Gyn so as to raise a log up to a set height. As I had taken a lot of video I made a separate video of the day. Also running throughout the morning was the Endurance Race. The race was right down in the valley so the cadets would have to cross the river. There was a great Postman’s Walk (rope brige), muddy slopes, ditches and netting to get through in a fast a time as possible. 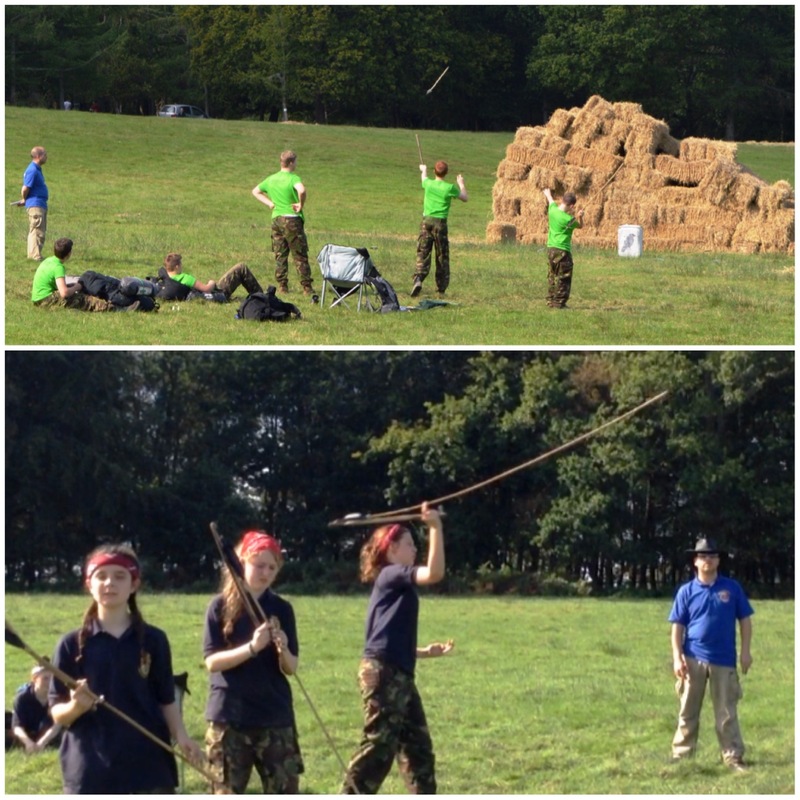 The teams had to help each other as much as possible as the clock did not stop until the last cadet had finished. I had a great time running around the course trying to get the best position to film and taking pictures. My last video of the weekend was of the Endurance Race. I had to leave before the placings were announced so I have used Joanna Russell’s pictures here. 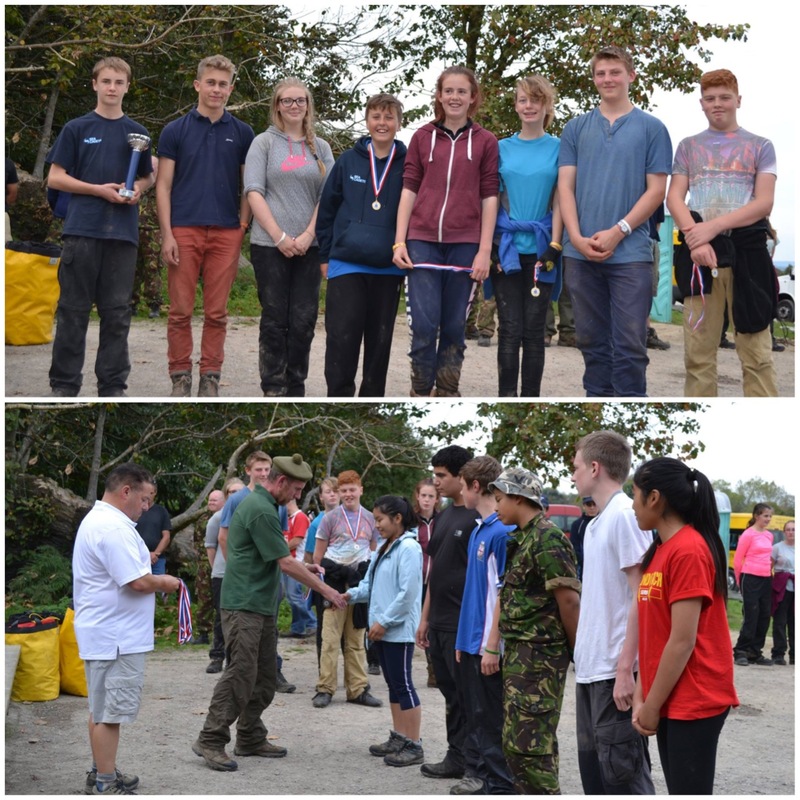 The visiting team trophy went to Poole unit and third place went to City of London unit. Second place went to Finchley unit and First place (for the second year in a row) went to Enfield unit. 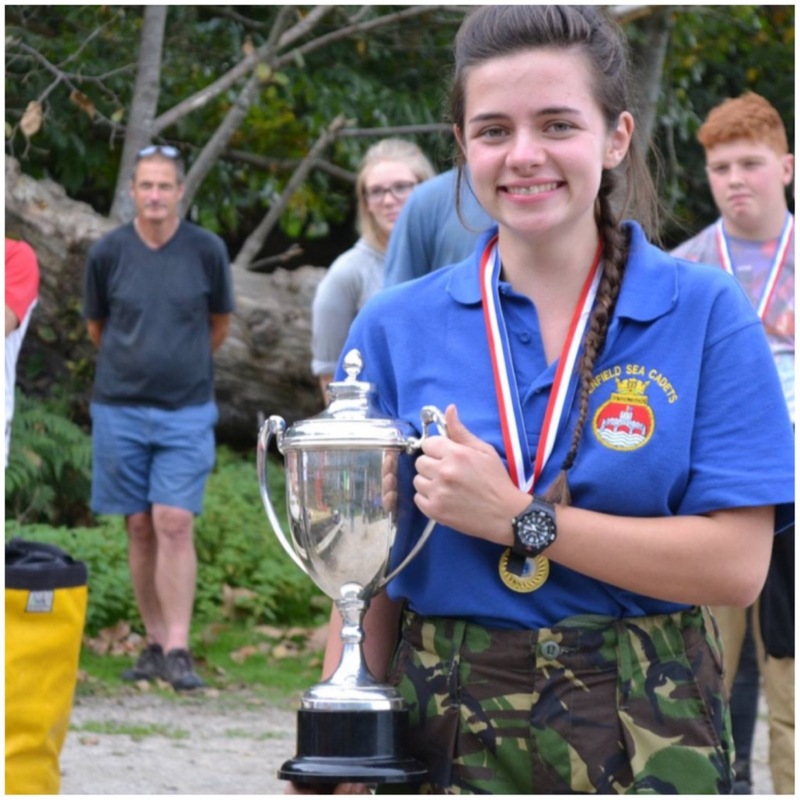 Also for the second year in a row the Team Leader trophy went to LCdt Jess Edwards of Enfield unit. 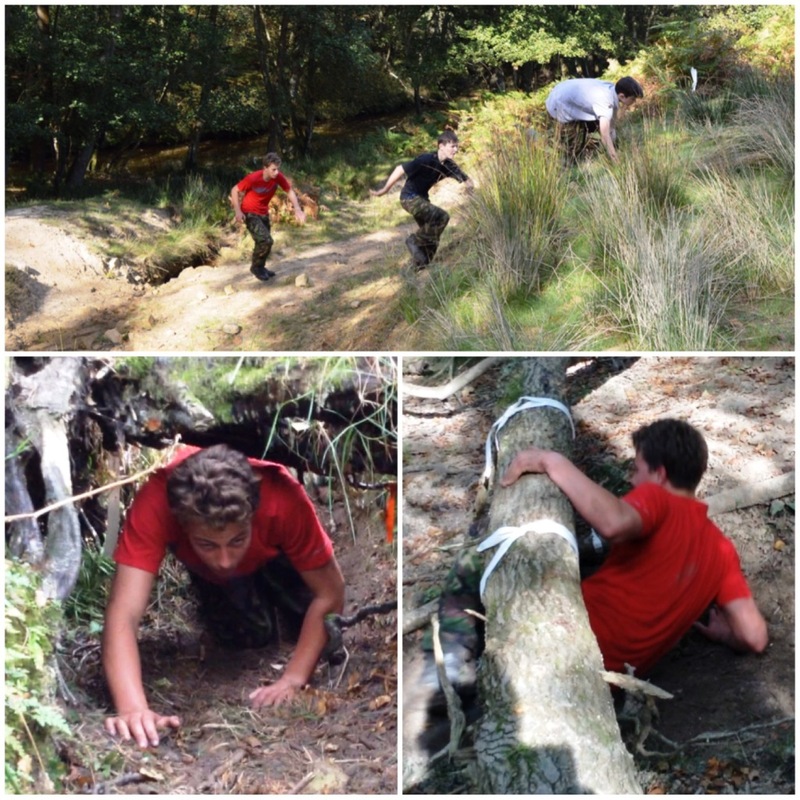 I thoroughly enjoyed the Chosin Cup this year as the weather was kind to us and the bushcraft stances worked well but most importantly it’s great to see so many teams entered in what I think is the hardest competition the Sea Cadet Corps runs. There are a lot of people that make Chosin Cup happen (including staff and cadets) but without the drive and dedication of Graham Brockwell it would not be the success it is today. 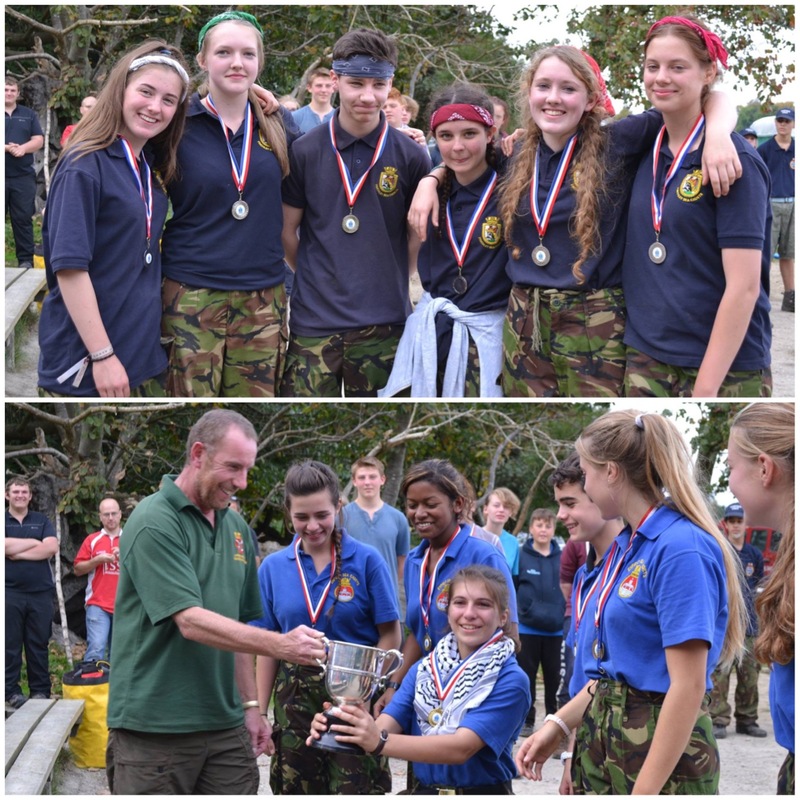 So thank you Graham for organising another great Chosin Cup. Great blog. Graham is not just eccentric, he’s completely bonkers!!! Fantastic Blog and website George. Excellant pictures and videos. Graham is very touched by your dedication. Cheers Paula. Mad as a hatter but great to work with.